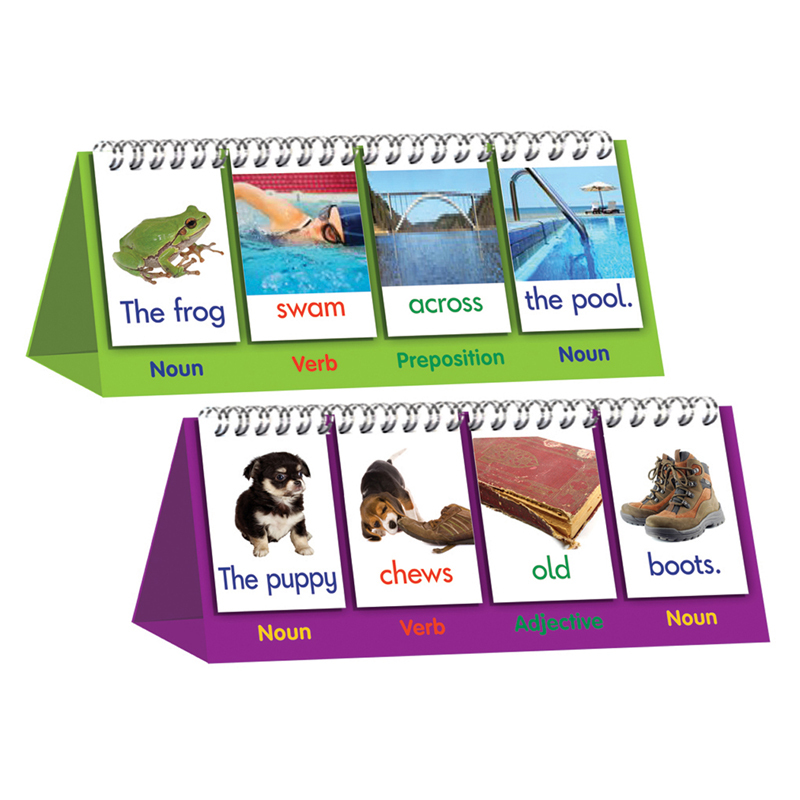 Sentence Flips is a double-sided flip stand which enables students to build new sentences. On one side are words made up of blends, and on the other words that contain different vowel patterns. Picture examples are provided to support sentence building.